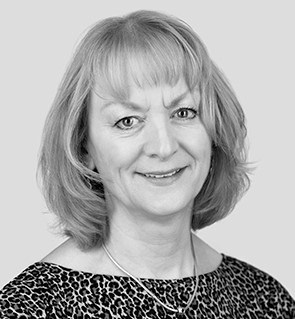 Jane is a highly experienced strategic and commercial marketing director with more than 20 years expertise gained in market leading B2B and B2C businesses, the SME sector and across multiple industries. Jane’s experience spans the entire marketing spectrum, from strategy and planning to on and offline campaign delivery and digital marketing projects across such diverse sectors as business services, construction services, financial services, manufacturing, retail, health/social care and the media. Alongside her experience with blue-chip businesses she has developed cost-effective plans and hands-on marketing activity for SMEs in support of brand awareness, sales and revenue growth, customer acquisition, engagement and retention, always ensuring a demonstrable return on investment. Marketing and brand strategy for UK and international business; implemented sector specific campaigns delivering year-on-year revenue growth and enhanced brand profile; transformed market engagement from print-only to multi-channel digital marketing, launching new websites, building substantial online and social media audiences and implementing data-led customer engagement. Established a successful partnership with TradePoint, delivering a new hire revenue source. Planned and led successful rebrand of UK and international businesses, developing a brand positioning and new overarching identity to unite disparate operating services brands and locations. Reviewed and rebuilt website, developing online content marketing strategy to support brand proposition and drive incoming enquiries - enquiry rates up 18% year-on-year. Corporate rebranding project; reviewed sales and marketing processes, significantly improving lead generation and conversion through effective use of digital marketing and customer query handling; implemented CRM system to track leads, sales pipeline and improve customer communications. Strategic development of portfolio of print and online products across the UK, ensuring marketing, communications, sales and business development activity aligned with business strategy and goals. Delivered multi-million-pound return on marketing investment through improved positioning, processes and new product/service developments alongside smaller, incremental changes in performance and delivery.